For many years now, flooring has been one of the most sought-after floor coverings. And it is not surprising, because it has practicality, functionality, warm texture and excellent decorative qualities. 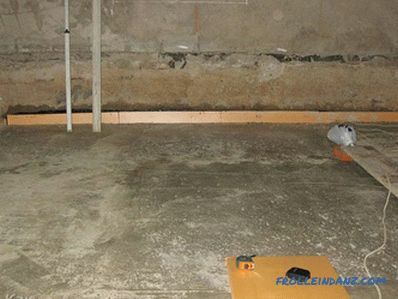 In order not to be mistaken in the correct choice of this flooring, it is necessary to know its basic properties, characteristics and other important indicators. This issue should be dealt with in detail. The floorboard is made from natural wood and has a multilayer structure. 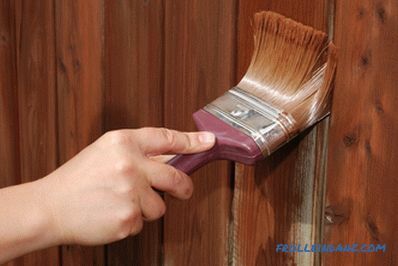 Usually it consists of 3 layers of wood, firmly fastened together, covered with parquet oil or varnish on top. 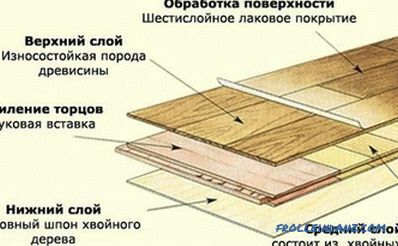 The bottom layer of the parquet board is almost always represented by plywood 1.5-2–2 mm thick. Its middle layer is up to 10 (mm) thick, made in the form of slats and laid perpendicular to the bottom. 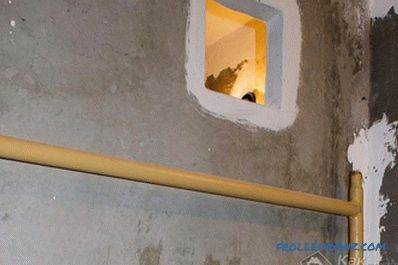 Such an arrangement of the middle part of the material is necessary for its mechanical reliability and resistance to the difference in temperature inside the room. The lower and middle layers of the specified building material are usually composed of conifers, and its upper layer is made of precious woods. The thickness of the upper layer can reach up to 6 (mm). The thicker this layer is, the longer the board will remain, since it is possible to restore it by polishing. Stop on each of these items, which characterize the specified flooring, should be more detailed. Recently, each manufacturer, guided by his arguments, determines the dimensions of the parquet board independently. Previously, in accordance with GOST, it had to fit into dimensions: thickness 1.4-2.2 (cm), length 180-250 (cm), width 14-20 (cm). Now you can find small copies of the board - from 0.7 (cm) in length, from 9 (cm) in width; and large enough - up to 2.4 (cm) in length, up to 21 (cm) in width. Everyone chooses this building material according to personal preferences. However, we must understand that the smaller the size of the board, the more often the joints can be found on the floor, and the larger its dimensions, the more likely its damage. A multi-layered parquet is capable of ensuring the reliability of the floor covering during operation. The most common option today is a three-cavity floorboard, which looks like a parquet designed for the interior of any room. As part of the front layer, it has 3 rows of elements arranged parallel to each other. A two-cavity board in the composition of the front layer, respectively, has 2 rows of elements. 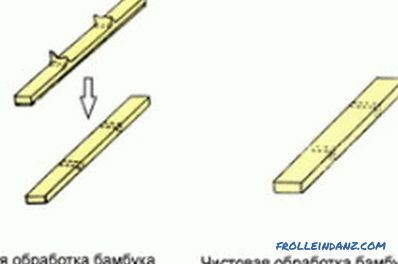 A single-board board consists of only one plank in the facial top layer. The richness and beauty of the woody structure is most clearly manifested on such a specimen. 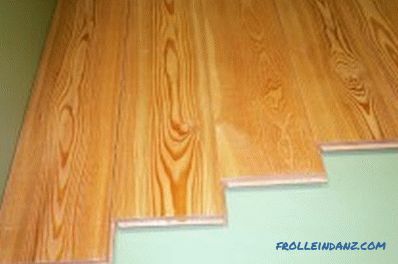 Plank flooring has a higher price than other options. Important technical characteristics of a parquet board are its selection and valuable wood species from which its face layer was made. 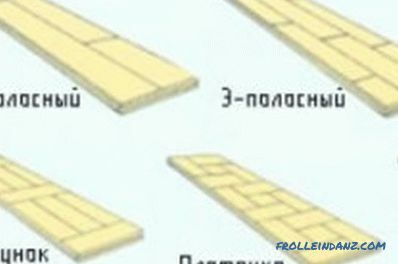 Production scheme of bamboo boards. Radial. Running parallel to the length of the trunk. Tangential. Passing on a tangent to the thickness of the tree. Rustic. Held at any angle. Rustic.Rustic cut, small pits and cracks, sapwood, various non-matching color variations are allowed. Nature. 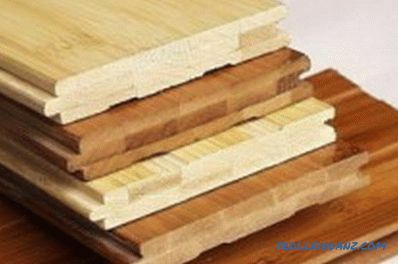 Radial and tangential cut, color variations are little pronounced, there are minor wood defects. Select. 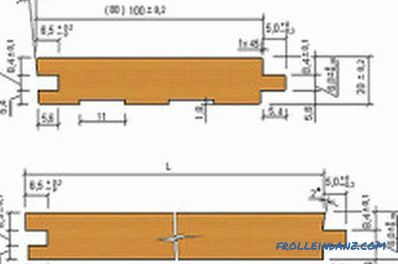 Radial sawing of wood, variegations are absent, there are no wood defects, the slats are carefully selected in color and structure. One of the most important characteristics of a floorboard that affects many of its properties is a valuable wood species from which its upper face layer is made. Here should give primacy to wood with greater hardness and stability. Leading positions in these indicators are occupied by tree species: beech, European oak, walnut, wenge, merbau, etc. The floorboard made of such tree species will have increased wear resistance and resistance to temperature and humidity changes. To protect against various chemical and mechanical effects, for a clearer manifestation of the peculiar texture of wood and to obtain an exquisite type of flooring in general, the surface of the floorboard is coated with varnish or oil. Each of the coatings has its own advantages and disadvantages. It should be noted that the coating on the floorboard is applied at the production stage and does not require additional treatments. When buying a floorboard, you should not choose a material with an upper layer of less than 4 mm, since such a product will not be durable. Traditional parquet flooring is a parquet lacquer that forms a uniform film over its entire surface. Lacquered in several layers, it becomes wear-resistant, durable, easy to clean. If any damage to the parquet board, varnished, will have to completely replace the damaged element. The newest type of coating for this flooring material is parquet oil, which consists of natural vegetable oils, waxes and resins. Its main advantage is ecological cleanliness. The floor covering treated with oil looks very beautiful. Parquet oil penetrates inside the board and does not interfere with the natural air exchange of the environment and wood. Damaged oil-covered floorboards can be easily restored. However, this type of coating requires more thorough care: regular surface treatment with wax and oil-based products. The technology of laying the board in any of the indicated ways is quite simple; you can cope with the execution of such works yourself. 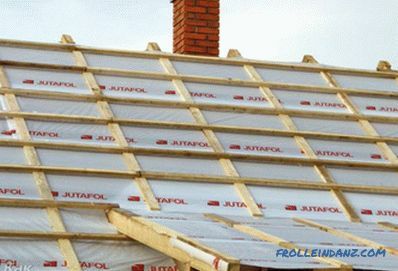 With the locking method of its installation, the whole complex of works consists of the proper organization of the vapor barrier, a special substrate, where the parquet boards are installed, fastened together with locks. It is important to leave a gap between the wall and the coating around the perimeter of the room. In the future, the gap closes the plinth. It is important to know that the fit of the panels depends on the quality of the locking system. 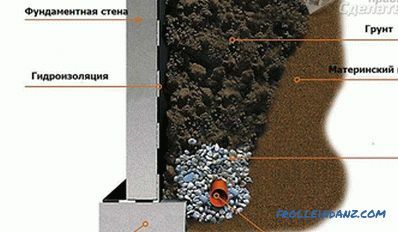 Modern castle systems are reliable and convenient, easy to install. Unconditional leaders in this area are concerns Tarkett, Kahrs, Aberhof. Everyone knows the lock systems T-lock and Uniclic. The adhesive method of laying the floorboard is to glue it onto a flat surface consisting of either plywood or concrete screed. In this case, a mandatory primer base is provided with adhesive primer. Thus, the parquet board, chosen in accordance with the required characteristics and correctly laid, will serve as an excellent decoration of the interior of any room and will delight with its practicality and functionality.